Another Farm Fresh Friday at the Greeting Farm to get you all inspired for the weekend. This week Jodi has come up with a delicious colour pallette challenge. Don't you love those colours. 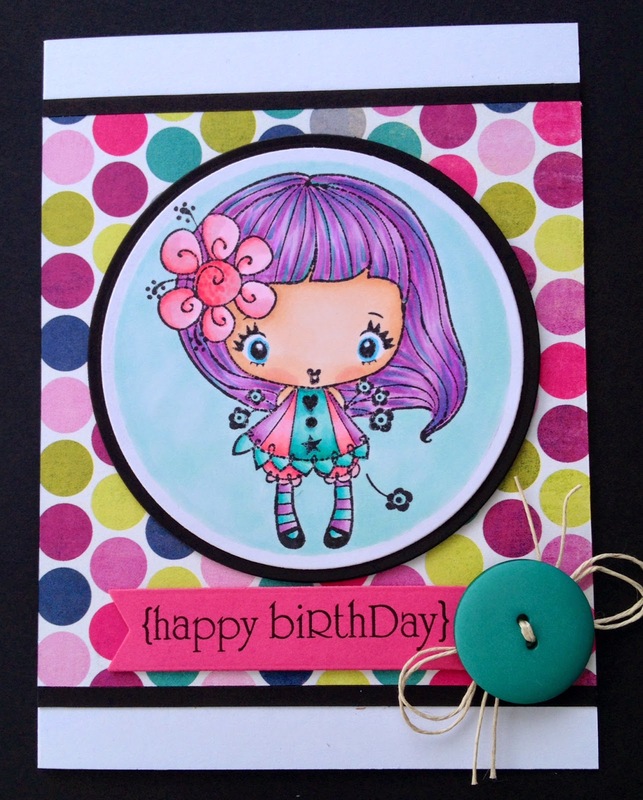 For my card I used the TGF stamp "Dahlia". I teamed her up with some patterned paper from My Mind's Eye - Happy Go Lucky. Hope you can play along this week and have a great weekend!